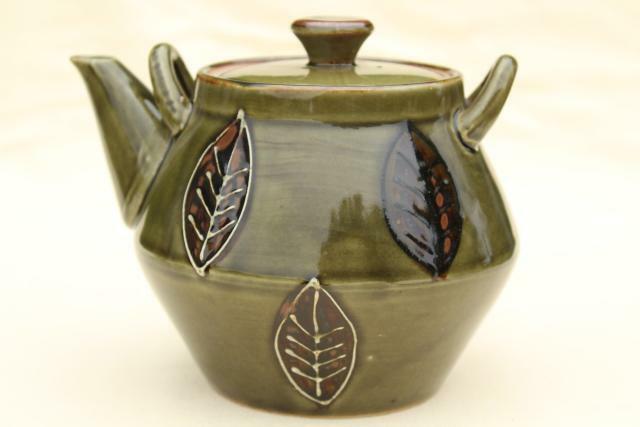 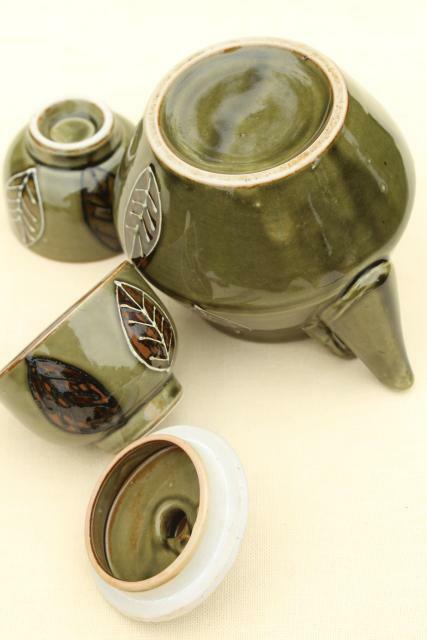 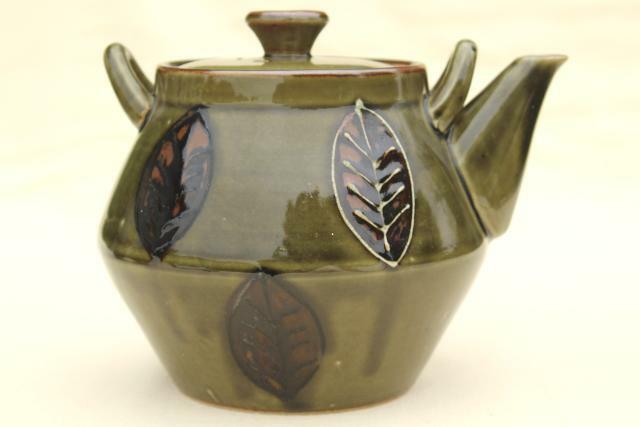 70s vintage green leaves ceramic teapot set, kettle, tea bowl cups, Japan OMC Otagiri? 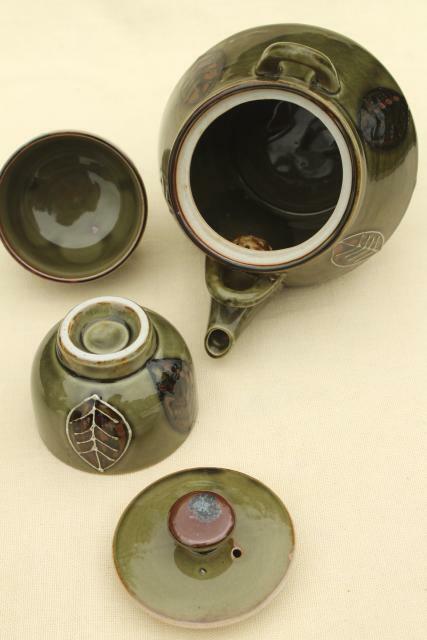 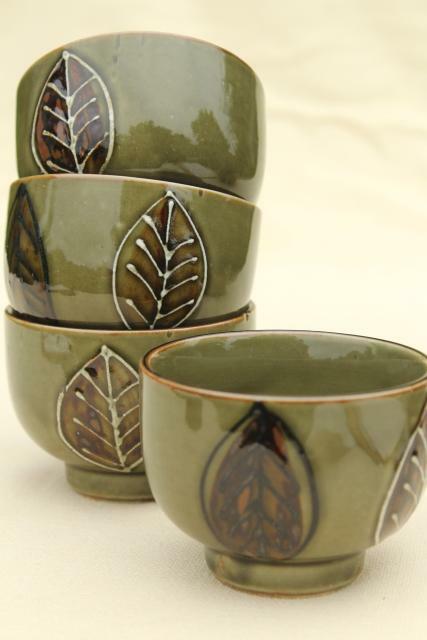 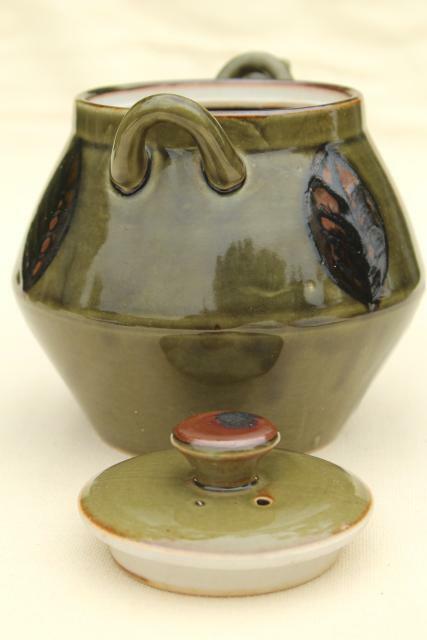 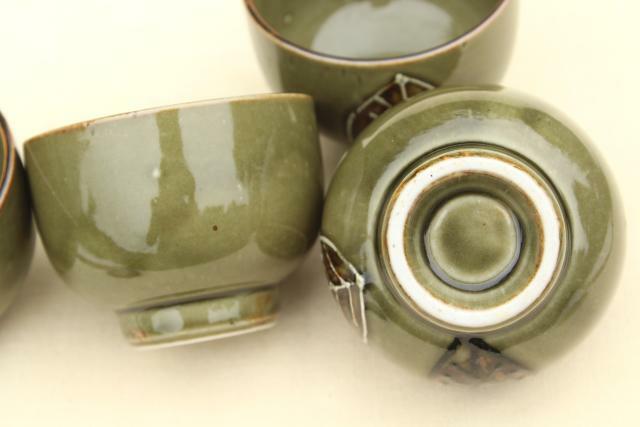 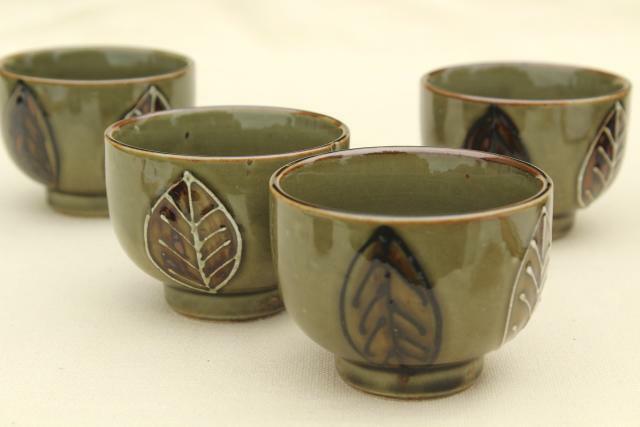 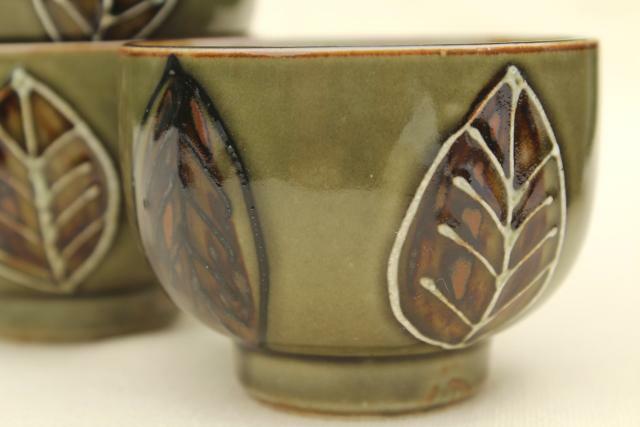 There's four handle-less cups or tea bowls 3 1/4" in diameter, and a pot without a handle, as shown. 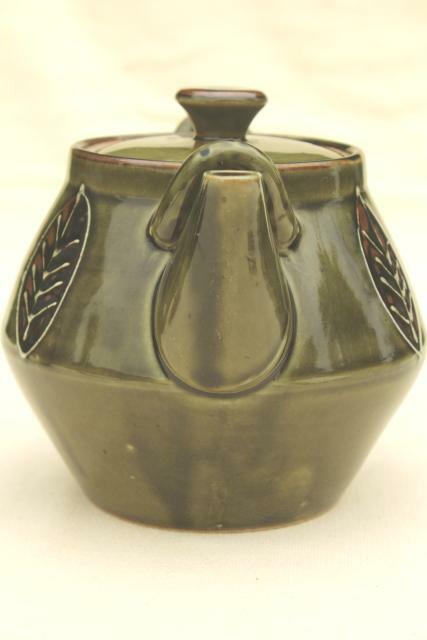 This would have had a basket cane handle originally, I think! 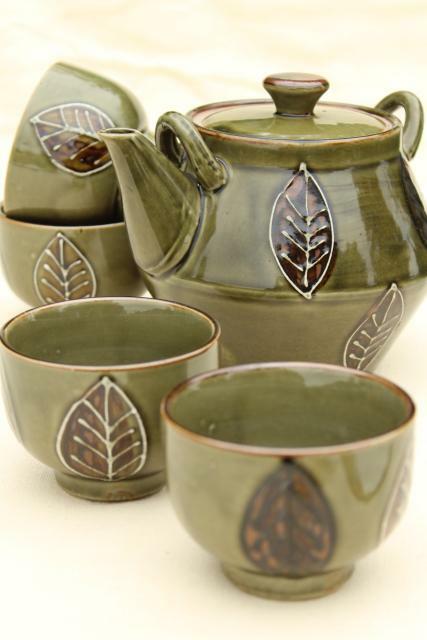 The whole set is in very good clean condition without chips, cracks, staining or wear.